I recently celebrated my 15th Anniversary with by beautiful wife in downtown Manhattan (our old stomping grounds). 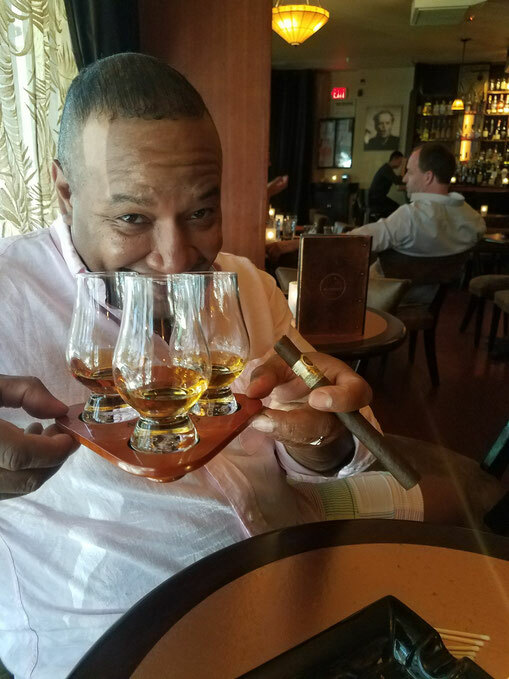 We ate at a few restaurants in between drinks, bar hopped in between meals, and ended up at Soho Cigar Bar on Watt St (formerly known as Circa Tabac). We had an incredible time alone with each other reflecting on the past, planning for the future, and joking about how some men have really gone to far with the tight pants craze. While all of the festivities played out, various cocktails were sipped, and new things experienced but somehow I could not stop thinking about my grandfather. In constant loop I remembered walking him to the casket of my beloved grandmother to say goodbye to his wife of over 60 years. He touched her chest, kissed her forehead, and wept in silence. The only time I ever experienced him showing vulnerability. I often use that memory to fully respect the sanctity of marriage; to appreciate it for its absolute value. I held back on bringing up such sad memories while celebrating our milestone but with every puff of the cigar I could see the pain of my grandfather's face. With ever sip of Scotch I saw my grandmother's lifeless shell being embraced intimately by the man she had built a life with (seven children 12 grandchildren). Soon after my grandfather would also yield to the sands of time. I thought about the moment when I would be in the same position or vice versa. Its like the Padron my wife and I shared that wonderful day. Like our lives we experienced it together but sooner or later it will have to be put out but in the end we'd know we had a dam good time. Very well said. I feel like I’ve had a similar thought and mind set. It’s a beautiful and otherworldly feeling! I’m praying for 60 years with my Queen! Marriage with your soulmate is an absolute beautiful thing!